The climactic moment of Jesus’ trial comes as Jesus tells the high priest he will see the Son of Man coming on the clouds of heaven and reveals his identity as the Son of God (Luke 22:69–70). After this he is condemned to death (Luke 22:71). Likewise, Stephen’s trial climaxes with his statement: “Behold, I see the heavens opened, and the Son of man standing at the right hand of God” (Acts 7:56). After this, he is killed. Moreover, Stephen is even described like Jesus in death. Just before dying Jesus prays, “Father, into thy hands I commit my spirit!” (Luke 23:46). 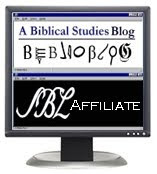 Stephen likewise prays, “Lord Jesus, receive my spirit” (Acts 7:59). Moreover, when Jesus is crucified he prays, “Father, forgive them; for they know not what they do” (Luke 23:34). Similarly, Stephen prays for his accusers: “Lord, do not hold this sin against them” (Acts 7:60). In fact, here I have to mention St. Augustine’s line: “Had Stephen not prayed, the Church today would have no Paul” (Sermon on the Nativity of St. Stephen 6, 5). 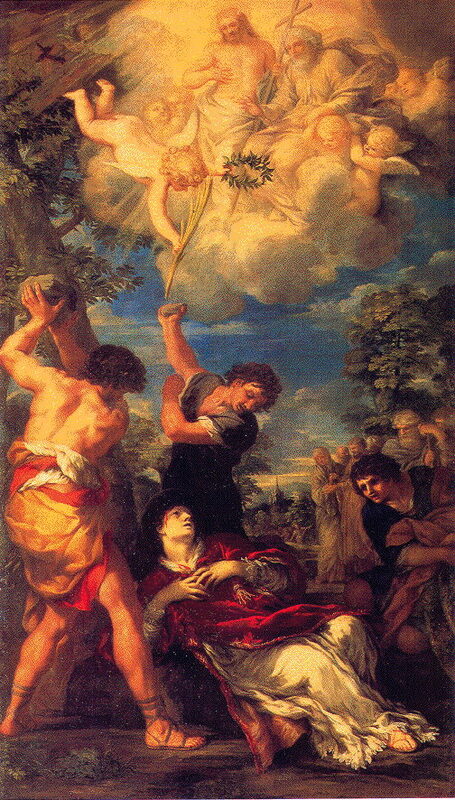 Saint Stephan is the proto-martyr, just as Emperor Nero is the proto-antichrist and Genesis 3:16 is the proto-evangelium. We're still waiting for Part 4 of the Acts series! My favorite painting of St. Stephen is by Peter Paul Ruebens, but just like that one, you see the crown of marytyrdom already awaiting for him in Heaven. FUN FACT: Stephen comes from the the Greek word Stephanous which means "crown".